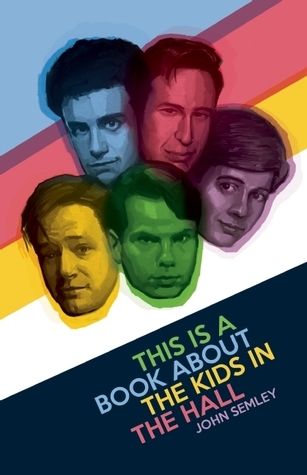 From Goodreads ~ This is a book about the Kids in the Hall - the legendary Canadian sketch comedy troupe formed in Toronto in 1984 and best known for the innovative, hilarious, zeitgeist-capturing sketch show "The Kids in the Hall" - told by the people who were there, namely the Kids themselves. John Semley’s thoroughly researched book is rich with interviews with Dave Foley, Mark McKinney, Bruce McCulloch, Kevin McDonald and Scott Thompson, as well as Lorne Michaels and comedians speaking to the Kids’ legacy: Janeane Garofalo, Tim Heidecker, Nathan Fielder and others. It also turns a critic’s eye on that legacy, making a strong case for the massive influence the Kids have exerted, both on alternative comedy and on pop culture more broadly. The Kids in the Hall were like a band: a group of weirdoes brought together, united by a common sensibility. And, much like a band, they’re always better when they’re together. This is a book about friendship, collaboration, and comedy - and about clashing egos, lost opportunities, and one-upmanship. This is a book about the head-crushing, cross-dressing, inimitable Kids in the Hall. The book starts with the beginnings of the Kids and ends with what they are doing today (as of 2016). In the 1980s, Mark McKinney and Bruce McCulloch were known as "The Audience" in Western Canada and Kevin McDonald and Dave Foley were known as "The Kids in the Hall" in Toronto. 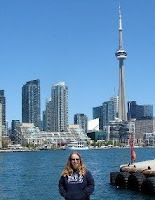 When McKinney and McCulloch moved to Toronto, they connected with McDonald and Foley and the four become the Kids in the Hall. Scott Thompson soon joined the group. It was an interesting book which The Kids in the Hall fans will enjoy. It would have been nice to have some pictures of The Kids in the Hall throughout the years as the book is all text.